The cities of El Cajon, La Mesa and Lemon Grove Wednesday named a firefighting veteran of more than three decades as the fire chief of the jointly managed Heartland Fire and Rescue. 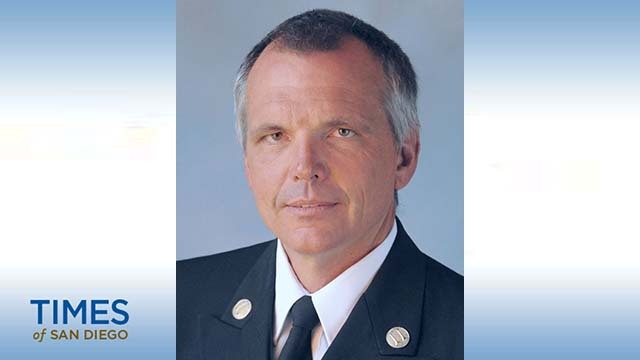 Steve Swaney will replace Colin Stowell as Heartland’s fire chief, effective Oct. 20, according to the city managers from El Cajon, La Mesa and Lemon Grove. Stowell was sworn in as San Diego’s fire-rescue chief in August after serving as Heartland’s fire chief for two years. Swaney has worked with the City of El Cajon, and subsequently Heartland Fire and Rescue, since 1985. Swaney most recently served as a Heartland division chief, overseeing day-to-day operations of fire stations across the three cities. He has also served as fire chief for the Julian Cuyamaca Fire Protection District and is a Federal Emergency Management Agency- certified canine evaluator. “It is an honor to have been chosen as the next fire chief of Heartland Fire & Rescue and I am excited for the opportunity to lead such a great organization,” he said. The local governments of El Cajon, La Mesa and Lemon Grove created Heartland Fire and Rescue in 2010 to jointly manage fire safety and emergency preparedness. The three cities share funding duties for the organization and are able to circumvent theoretical concerns of management overlap that separate fire rescue organizations could bring.